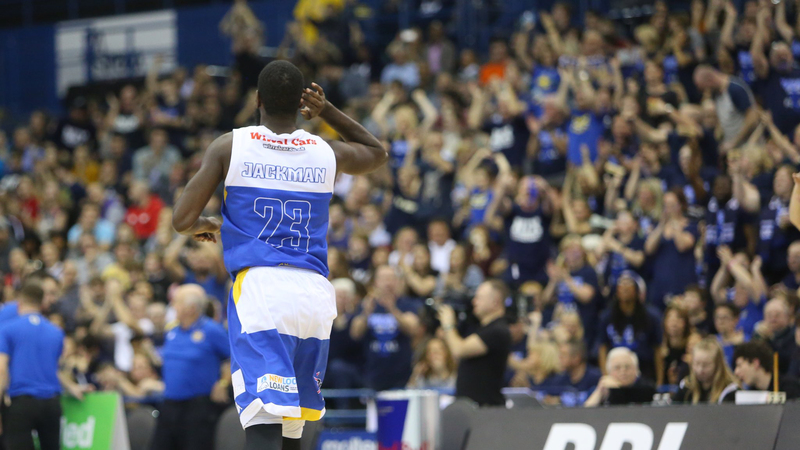 For the first time in 16 years, Cheshire Phoenix were victorious in the BBL cup final, beating Worcester Wolves 99-88. Worcester got out of the gates quicker, with Bachynski winning the early battles against fellow forward CJ Gettys. However it didn’t take long for Cheshire to get into their stride, with MVP Malcolm Riley peppering the basket, to take the game to half time with just a point in it. In the second half Phoenix really started to dominate, with Sandoval controlling the game and Gettys, Riley and Falzon finding the basket, taking them into the third quarter with an 11 point lead. Two big three-pointers from Falzon in the fourth quarter took the game almost out of sight for the Wolves, who trailed by 15 with just minutes remaining. Some heavy scoring from Wolves towards the end took the game to within 7 points, but hopes were quickly squashed by Phoenix, who ended the match 99-88. MVP Malcolm Riley won the Molten Golden Ball award, securing himself 26 points, 9 rebounds and 3 assists, with CJ Gettys chipping in with 19 points in from of the packed Birmingham crowd.